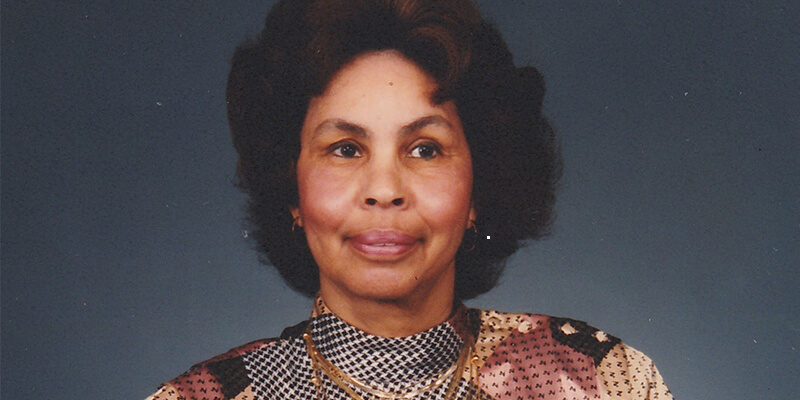 At 86 years old, I’m a widow, mother of four boys, one granddaughter that I raised as my own, and retired educator. I was born on July 31st, 1931 in Newport News, Virginia. My six siblings and I were raised in Ahoskie, North Carolina. My mother worked as a housekeeper and my father was a carpenter. I dropped out of high-school when I was 15 years old and was married at 16 to George Hall, Jr. At the time, it was the norm for girls in our African American culture to drop out of school and marry. My parents never questioned my dropping out, and they didn’t force me to continue my education. My parents, my husband, two of my siblings and I all lived in a four-bedroom house, where I had all of my children. We later moved to Newport News, VA where my husband worked at the shipyard. We lived there until 1958 and then moved to Winton, NC. The principal of CS Brown High School, where my children attended, called me one day, based on a recommendation from the school’s typing teacher, in whose class I had been volunteering. He asked me to be his secretary and I accepted his offer. That was the beginning of my realization that I had made a mistake by not finishing high school. I left CS Brown High School after three years when I was offered a job as a secretary at Sunbury Elementary School in Gates County, NC. After two years at Sunbury, I accepted a position at RCA Corporation in Rich Square, NC. RCA administered a federal grant program for poor families that trained parents in skills: home economics and daycare for the women, welding, carpentry, etc. for the men. I worked as a secretary for the program. I had been working there for two years when my second oldest son, Douglas, perished in a fire in his house. After that, it was difficult for me to go back to work. That’s when I decided that I had made a mistake by not completing my education. The first step in Agnes’ journey. When I worked for RCA I realized that I was doing the work of my project manager but he was making the money and I was not. I realized that I needed to go back to school to get my education and was aware that Chowan Community College in our area offered a Certificate of High School Equivalency. With that, I could enter Elizabeth City State University. I had to study Math, English, Science and Social Studies on my own to pass the tests to complete the certificate. It was similar to today’s home school philosophy, except that I was self-taught. At the age of 42, after 28 years of being out of school, I started in August of 1973 and was told it would take me a year to complete. 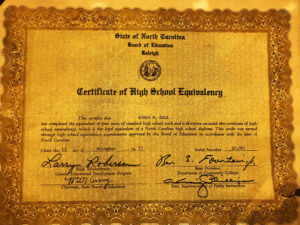 I received my certificate in November of 1973 after only three months. I was determined and entered Elizabeth City State University in January 1974 studying Elementary Education! 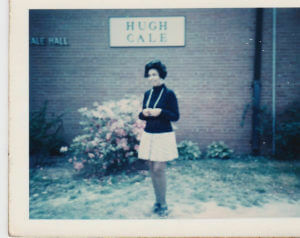 While attending Elizabeth City, I lived on campus and my mother took care of Candy, my granddaughter of whom I had custody, and my husband. Agnes attending a school board meeting when she was a board member. In the 1960’s I was supportive of my husband’s social justice activities. He served as President of the local NAACP chapter, desegregating public schools, hospitals, restaurants and the like. When I decided to go to school, my husband was reluctant to encourage me. He felt it would provide me the opportunity get a good job and give me financial freedom. He had also dropped out of high school, so he feared he would have less control over the household if I were educated. Because of this, he didn’t want me to go to school and assumed that if he didn’t support me financially, it would stop me from going. My sister was already working as a teacher in Connecticut and when I told her about George not supporting me, she and her husband offered to help me with the cost of getting my education. I had a loan from the college foundation but that was not enough to cover all my expenses. Once my husband realized that he was not going to stop me from getting my education, he accepted it, and became proud of me. My son recalls hearing him on the phone telling others how proud he was of me! To graduate from college, I had to take one physical education course. I chose swimming because they told me the coach could teach anyone to swim and I thought it would be easy. I was afraid of the water, so he never taught me how to swim. But, he did teach me how to float! Who knew years later I would have a great-grandson who is practicing with Olympic swimmers! I passed the swim class, and I took 21 hours each semester during my last year. I finished my BS degree in Elementary Education in two years and ten months by going to Summer school and working year-round. 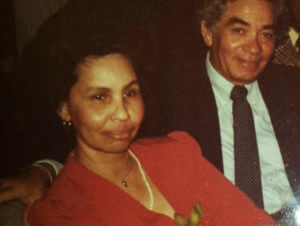 Agnes and her husband George, upon his return from the Selma to Montgomery Alabama Civil Rights March in 1965. I accepted a position teaching Kindergarten at RL Vann School in Ahoskie, later moving to Ahoskie Graded School in the same role. After my second year of teaching Kindergarten, I enrolled at East Carolina University to work on my Master’s degree while continuing to work full-time. I earned my Masters in Education after two years and then stopped going to school to focus on working. 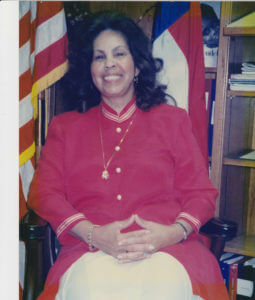 I became a second-grade teacher and also served as a Teaching Assistant Principal. It meant that I worked in the office when the principal wasn’t there. After two years, I went back to ECU, again while working full time, to obtain my Administrative Leadership certification. It would qualify me to become principal of the school. That took two more years and I was finally finished with school! As soon as I finished this degree I was made principal of Ahoskie Graded School. I remained there until 1996 when I retired. That very same year I ran for the Board of Education and won a seat. In 1999, I resigned from the Board to become interim principal at Hertford County High School until they found someone to fill the position permanently in 2001. My career as an educator was filled with many rewarding experiences, as well as, moments of frustration. More than anything, I received my greatest satisfaction when I made sure that everything I did was always in the best interests of children. When I left the classroom and became a Principal, it was the primary value that guided me in making decisions. I learned that every child could not be taught in the same way. Each one came with different levels of learning and life experiences. Realizing this helped me provide guidance to my staff on how they interacted with and taught their students. It made me a better principal. Sister Janice and her husband Warren. They helped Agnes with college expenses. As a principal, I worked under seven different superintendents. We did not always agree on what was best for the kids. Despite this, I always stood up for what I felt was right, regardless of the potential professional consequences. I was not always liked in the district. I had a reputation for being tough because I stood my ground when it concerned the children. It was my core belief that my role as an educator was to serve the students, all of them. I considered it a low point in my career when some African American parents felt I catered to the white community but wanted me to treat them differently because I was black. I never gave in to this. It was discouraging to know it was not true and that they felt this way. After I retired, I would often meet my former students and parents. I was gratified when they told me I was a good principal or a favorite teacher! Many have asked me to come back. During my retirement, I have spent time as a volunteer at the elementary school where my daughter teaches. 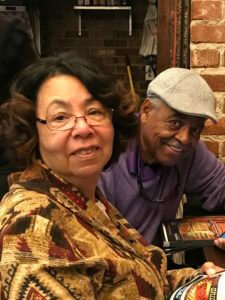 I am enjoying my retirement and have told my children that in my 80’s I will do whatever I want and enjoy all of my grandchildren and great-grandchildren! I hope that my story provides inspiration to others who want to change their lives. No one can ever take your education away from you. It is one of the most important things in your life you can do to make a positive change. Make sure you get as much education as you can and understand that it is never too late! A WONDERFUL article not only is this article inspirational it is motivational as well. It should be shared in every household. Thank you so much for bringing it to my table. Continue to be blessed. It was a pleasure to hear Mrs Hall inspirational story for us as well. May many people, young and old, find inspiration here. Thanks for writing. Mrs. Hall was my second grade teacher! She was great and one of the best teachers I ever had. Her passion showed through her teaching… she taught us to excel in everything that we chose to do. Valeria, thats awesome! You were lucky to have her!